Not exactly a weapon but a good example of early brass / iron work from India. 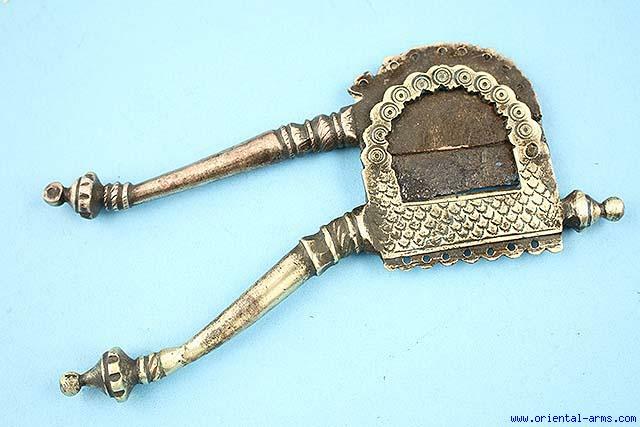 This betel nuts cutter is mid 19 C. or earlier, most probably Deccan. Brass frame, steel blade. Total length 6 1/2 inches, 11 inches fully open. Very good condition. Blade lightly corroded. Solder repair on one arm.